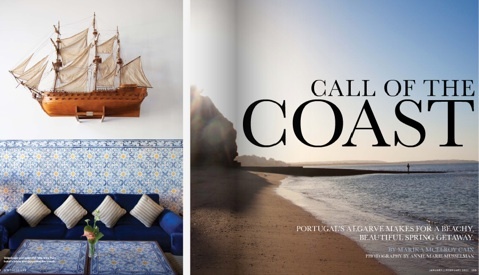 It recommends a luxury resort but also describes the small towns with the best historical or cultural offerings, such as Tavira (“the Algarve’s prettiest town”), Silves (with its Moorish fortress), and Sagres (where the “inspiration” from Prince Henry the Navigator’s school is “unmissable”). 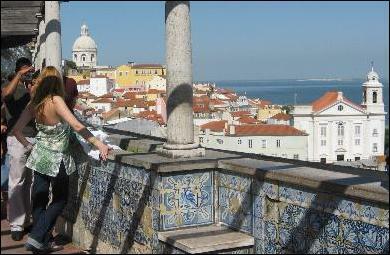 The 2009 edition of the World Travel Awards took place this weekend and Lisbon was the big winner. 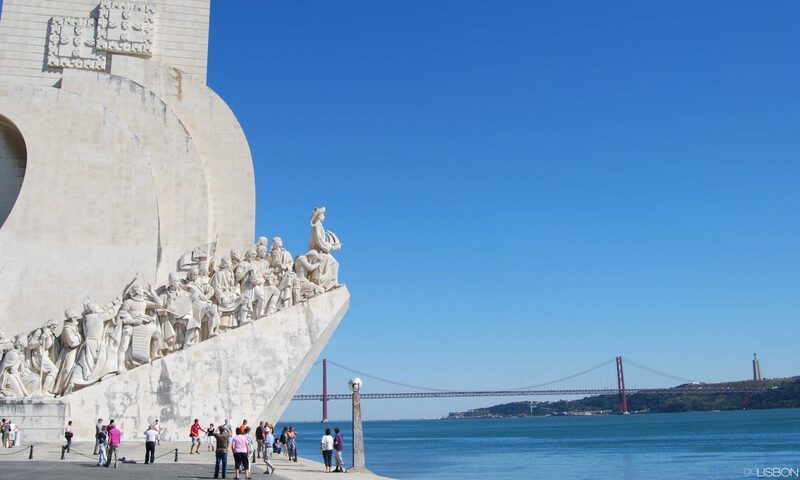 The Portuguese capital won Europe’s Leading Destination as well as Best City Break and Leading Cruise Destination. 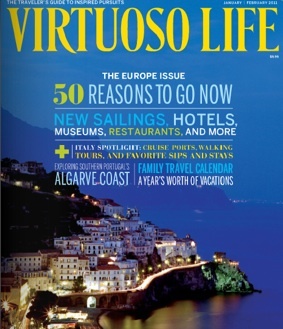 Described as the “Oscars” of the travel industry, these awards single out the best in travel, from hotels to airlines, to destinations, and two other prizes for Portugal were Best Golf Resort to Marriott Praia D’El Rei in Obidos and Best Boutique Resort to Algarve‘s Vila Joya. Other awards included Best Airline which went to Germany’s Lufthansa, Best Low-Cost Airline to EasyJet, the Best Airport is Zurich‘s, and the best hotel is Paris’ Le Bristol. Among other categories were Best Design Hotel (Turkey’s Adam and Eve), Best Luxury Hotel (St. Petersburg’s Grand Hotel Europe), Best Cruise Lines (Norwegian Cruise Line), and Best Beach Resort (Greece’s Minos Imperial). This year there were thousands of votes by travel professionals from 183,000 travel agencies, tour and transport companies in over 160 countries. As GoLisbon previously reported, Hollywood has a new home in Portugal, and this week it was announced that a new movie starring Brad Pitt, Al Pacino, and Penelope Cruz will be filmed around Portugal next year. Most of the scenes will be shot in Algarve, but will also move up the country to Lisbon, Porto, and Aveiro. It’s a remake of the classic “Le Mans” which starred Steve McQueen in 1971, and this time it will be directed by Wolfgang Peterson who directed 2004’s “Troy”. The scheduled dates for filming are the month of August, as the script is still being worked on at the moment. 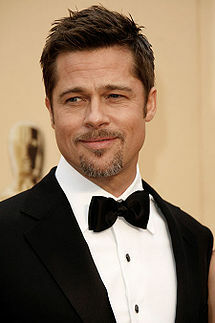 The total budget for this film is 52 million dollars and is expected to have a crew of 600. Another production planned for Portugal is a movie starring Richard Gere playing the role of Aristides Sousa Mendes, a Portuguese diplomat who allowed over 30,000 Jews to escape the Nazis during WWII. Other productions include a vampire thriller with Kevin Bacon, a science-fiction film starring Sigouney Weaver, a western with Val Kilmer as the star, and a Larry Cohen thriller starring Ethan Hawke. It was announced last week that the south of Portugal (Algarve) is the likely home of a future Hollywood studio and theme park created by Universal Studios and CBS Paramount. It would be located in the city of PortimÃ£o, with the park costing 550 million euros and the studios around 200 million. The theme park would be about the history of cinema, and would be Universal’s first park in Europe, after the ones it has in Hollywood, Orlando, and Japan. The studios would be run by CBS Paramount, with a projected starting date of 2010, and would include post-production facilities and a “watertank” for the filming of underwater scenes. Portugal is an attractive country for such a project in part because of its near-perfect weather and competitive prices, as well as varied scenery. Apparently also moving to Portugal is actress Angelina Jolie which the gossip columns have reported this week is also looking for a home in Algarve. Her chosen location seems to be Lagos, with the local media reporting a 10-million euro mansion in that seaside town as the possible future home of the actress. 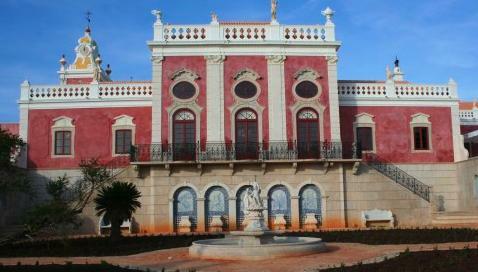 It’s the second Pousada to open this year, and it’s the most palatial ever. For those who aren’t yet familiar with Portugal’s Pousadas, they’re special hotels in renovated historical buildings (castles, palaces, monasteries, mansions, etc. 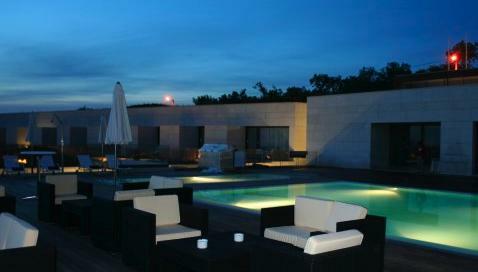 ), and offer a unique experience that adds to a memorable trip to Portugal. In a pousada, guests get a real taste of Portugal, in the refined traditional gastronomy of their restaurants, and in the buildings themselves, in their furnishings or locations of cultural interest. The latest one is found in Estoi, a small town outside the city of Faro that is so close to that capital of the sunny Algarve province, that the hotel is called Pousada de Faro PalÃ¡cio Estoi. The PalÃ¡cio is an elegant 18th century rococco building, a sort of tiny Versailles also surrounded by formal gardens that served as the private residence of nobility for decades. It’s very close to Faro’s international airport, and its location also allows you to see some fascinating Roman ruins nearby, while the famous beaches of Portugal’s southern coastline are also not too far away. If you prefer to spend a day in the confort of your hotel, it offers fifty rooms, a restaurant, a deluxe spa, and both an indoor and outdoor pool. While the building may be historic, the furnishings are mostly contemporary and offer the high-speed internet and LCD flat screen TVs that modern travelers expect to find. This new pousada opened just in time for the late-spring and early-summer season, when Algarve is already flooded with sun and warm temperatures but not yet invaded with tourists. 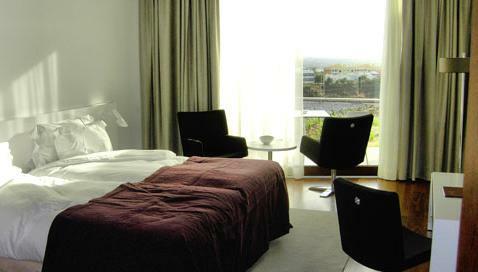 You can find more information about Pousada de Faro PalÃ¡cio Estoi, including prices on specific dates here: Pousada de Faro PalÃ¡cio Estoi.